Hello, the brown shell vase has the number 631 and an incised 7. Hi does the brown one have a base rather than a flat bottom? Hello, The brown vase has a base and is the same size as all the numbered 631. 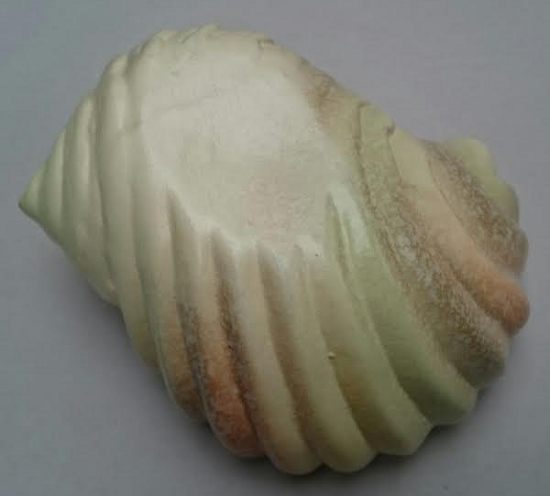 I saw this shell at the Antiques Fair yesterday and it was with a shape 631 shell vase decorated in the same colours. Both vases have a flat base with no makers stamps or numbers. This shell looked familiar and I got it in case it is in one of the many shell drawings that are in the Crown Lynn records. I can't find a match, but now I have a feeling that it and the 631 flat based vases are not Crown Lynn. The shell feels very light for it's size. 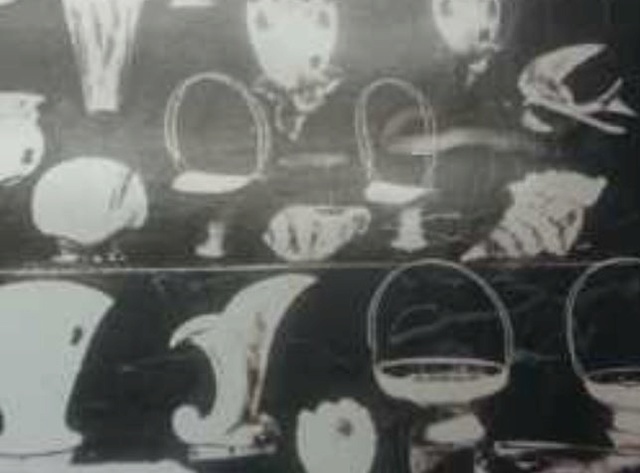 The details on the flat bottomed shell vases above are not as pronounced as they are on the Crown Lynn shell vases and we need to find out who made them. I just found this shell vase in the Salisbury/Royal Oak Catalogues, so my first thought was right that this shell and the shell vase were decorated by Salisbury. Now to find out who made them !!!! I've blown up the photo from the catalogue and it's in the middle. I will add it to the Salisbury/Royal Oak Gallery. My Royal Oak contact said that sometimes they went to CL with shapes and asked CL to make them, so this is possible. We have a list from the Modellers records that shows all of the shapes that were made for Royal Oak/Salisbury and they all have shape numbers Val. I will dig it out one day. The small shell vase with the so called....flat horrible bottoms! was made at AMBRICO for Royal Oak decorated by Ted Hart. The larger 631 shape was made at CROWN LYNN for Royal Oak and decorated by Darryl Hargreaves. Thanks for this information Oakpot. It can be difficult to sort out what actually happened when there are so many variations on the same theme. Thanks oakpot for your information. Here is a link to the Shapes that were made for Owen Salisbury from 1960 to 1964 and it includes the 631 Shell vase. oakpot wrote: The larger 631 shape was made at CROWN LYNN for Royal Oak and decorated by Darryl Hargreaves. Was Darryl Hargreaves in any way related to Harry Hargreaves, designer of Wharetana? Darryl is the son of Harry Hargreaves,he worked at Crown Lynn before moving to Royal Oak as a decorator of ceramics.There were many families working at C L during this period. I've read through all the comments on this page about this scallop shell vase. I'm positive it's been decorated by Salisbury's for the Royal Oak brand as it's painted not glazed. On page 149 of Gail Henry's second book it mentions that Titian also supplied bisque pieces to them. On the base of my scallop vase is the 631 which is what is being discussed. However there is a T just above the numbers which has been scratched in rather than being part of the number. See photo. I'm wondering if the T represents Titian or something else. Just curious. Or am I throwing a spanner into the works? Thanks for link Ev and getting back to me. Apologies for not hunting that page out previously before asking about my scallop vase. It certainly looks obvious that CL made it and supplied it to Salisbury/Royal Oak. When I get a bit more time I'll do a hunt the link session. Thanks again. As I said, this subject is unresolved as there are two different sized shells and one has a flat base and the 631 has a base and the flotsam surrounding the base is less pronounced on the smaller one. So we really need to sort this out. I do wish that I had got the one that went with the shell I have as it was decorated in the same way and I could have compared them more easily. However I had spent enough by then, so I passed on the shell and will have to wait for another to come along with the flat base. 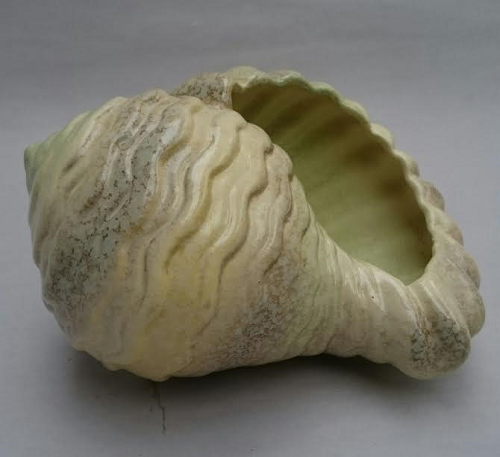 Has anyone got the Sherwood Nautilus vase on a stand and a flat based Shell vase to compare the ,modelling style? oakpot knew who decorated my shell above and said it was from Ambrico days. Sherwood were also supplying Salisbury in the Ambrico days, so you can see where I am going with this. It makes sense to me as the shell I have is beautifully made, but isn't in the Crown Lynn/Ambrico records. The 631 is in the Crown Lynn records. 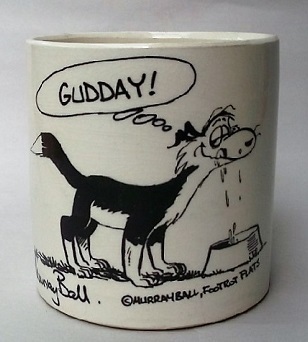 Titiangirl here is a link to Salisbury ware catalogues from the early 1940's. The first two photos in particular. The second photo has the Shell vase in it that this topic is about. So far we know that they sourced the high fired bisque ware from Spartan, Sherwood and Ambrico.